Toothpaste whitens, protects enamel, and keeps your teeth from rotting. But did you know that there are more, unusual uses for toothpaste? It can save you money and work magic around your household. 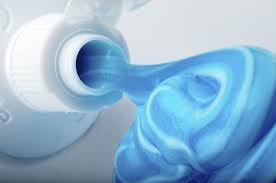 Toothpaste is great for #cleaning your clothes iron. Apply some toothpaste to a cold iron, scrub it and rinse clean. Your iron will be as good as new! If want to restore your silver #jewelry to its original beauty, toothpaste can help you. Rub it gently onto jewelry in a circular motion, rinse thoroughly with warm water and polish with a soft cloth. Use plain toothpaste for this and make your jewelry shine again. 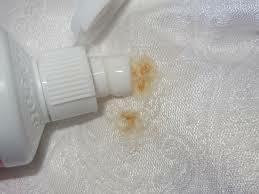 Use non-gel toothpaste to remove difficult stains from your clothes, carpets or table cloths. Apply it directly onto the stain, rub vigorously until the spot is gone and throw it into the washing machine. When it comes to carpet stains, use an abrasive brush for rubbing and rinse immediately. Use a small amount of toothpaste to remove shallow scratches and minor smudges from your discs. Make sure that you use just a tiny amount of it, because using too much will make the problem even worse. Apply a thin coat of toothpaste to the disc and use a cotton cloth to rub it gently, and then rinse clean.